Toon's Tunes : Five Finger Death Punch sign with Rise Records for future recordings! Five Finger Death Punch sign with Rise Records for future recordings! Anyone who was concerned about the future of Five Finger Death Punch's recording career, given recent news about their contract with Prospect Park, need worry no more. They've just announced that they have signed with Rise Records for recordings following their final obligation with Prospect Park. To date, Five Finger Death Punch have released six highly-successful albums, including five that went gold, one platinum (so far). Now fans can expect one more to be released under the current contract, and then onwards with Rise Records. 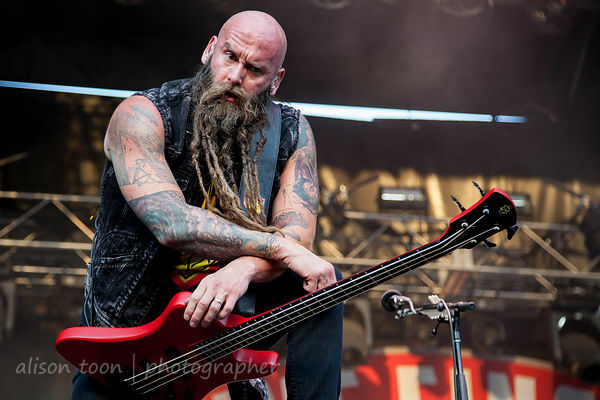 Find out more about Five Finger Death Punch, their upcoming tour with Shinedown, and several festival dates both in the USA and in Europe this year, on their website and Facebook. We're guessing that they will not be in the Aftershock festival lineup this year (lineup will be announced in June), as the dates clash with FFDP tour dates, so Sacramento fans must plan a road trip! 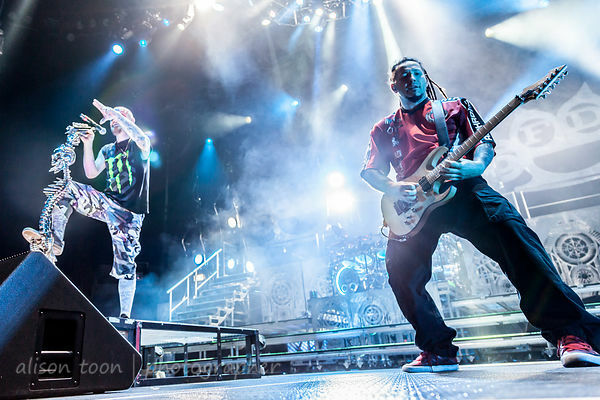 More photos in the Toon's Tunes/Cameras and Cargos Five Finger Death Punch photo galleries.